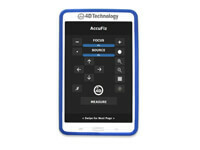 High resolution to measure aspheres and steep slopes. 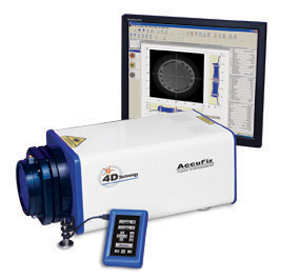 The AccuFiz 6MP laser interferometer provides the highest available resolution for measuring steep slopes, aspheric surfaces and small diameter optics. Its 2400 x 2400 pixel sensor doubles the measurable spatial frequency range and quadruples the sampling capability of standard Fizeau interferometers. The added resolution makes it possible to measure surface shape earlier in the manufacturing process and to capture polishing marks despite high fringe counts. 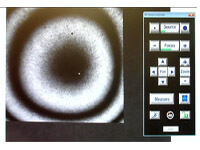 Measure spherical/aspherical optics and molds with unprecedented accuracy. 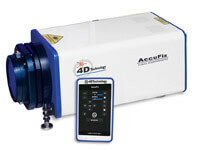 Use the AccuFiz 6MP's high pixel density and optional High Power Alignment Laser for accurate measurement of smaller optics.